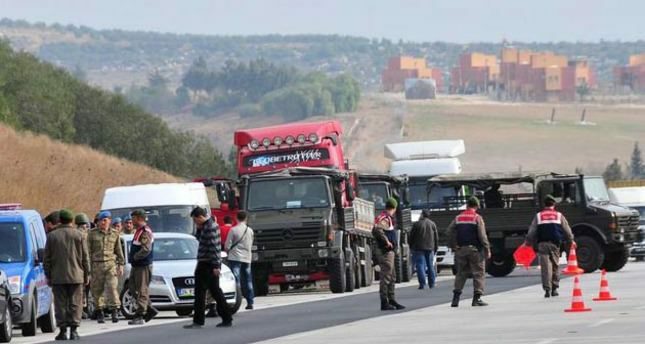 The Supreme Board of Prosecutors and Judges (HSYK) has recently given permission to launch an investigation into the commanders who ordered the stopping and raiding of trucks belonging to the National Intelligence Organization (MİT) in Adana on January 19, 2014. It is claimed that MİT officials were physically harassed in a degrading manner during the incident. Colonel Özkan Çokay and two local generals from the Adana Provincial Gendarmerie Command were discharged following the incident due to charges of insubordination when they ordered officers to stop and inspect MİT trucks. The trucks were searched for explosives belonging to a terrorist organization, which they were allegedly carrying – a claim that has caused significant controversy. A total of 13 officials faced charges following the incident but a ruling from the HSYK was needed to charge Çokay and the local generals involved in the incident. The indictment was accepted in May 2014 but the HSYK's previous members did not give permission to launch an investigation into the generals. Critics of the incident have claimed that it was planned and administered by agents of the Gülen Movement within the security forces. It was reported that Çokay met with Adana Public Prosecutor Aziz Takçı in his house hours before the raid. Çokay reportedly went to the Prosecutor's Office to coordinate the operation and requested a search warrant even though it was his day off. On January 19, 2014, MİT officials were assaulted and handcuffed in a way similar to terrorists, contrary to the law and outside authoritative boundaries. The Turkish government has reformed its intelligence laws in efforts to avoid such circumstances in the future.